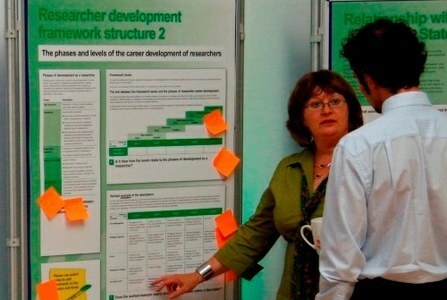 A range of materials have been developed to illustrate the Vitae Researcher Development Framework (RDF) and to support those who use it. 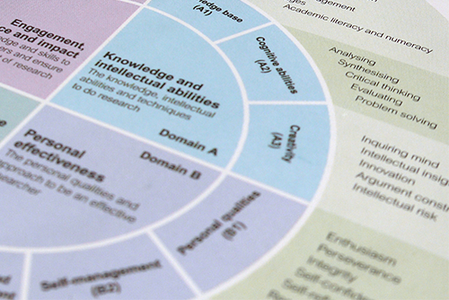 Browse a list of all RDF resources and publications in this section. 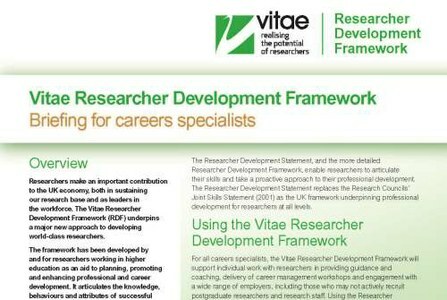 Vitae briefings on using the RDF covering a variety of perspectives. Find briefings for postgrads, research staff, PIs and supervisors, researcher developers, HR specialists, career specialists, senior managers, employers and funders. A series of RDF images can be downloaded from our RDF section. Our online application for researchers, the RDF Planner is an easy-to-use way to plan and keep track of professional development.